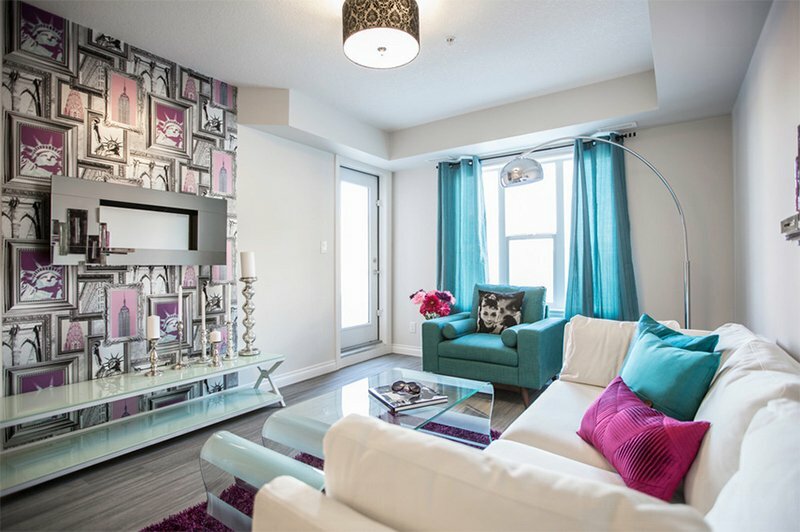 A condo living room would always look luxurious, even it doesn't cost that much! 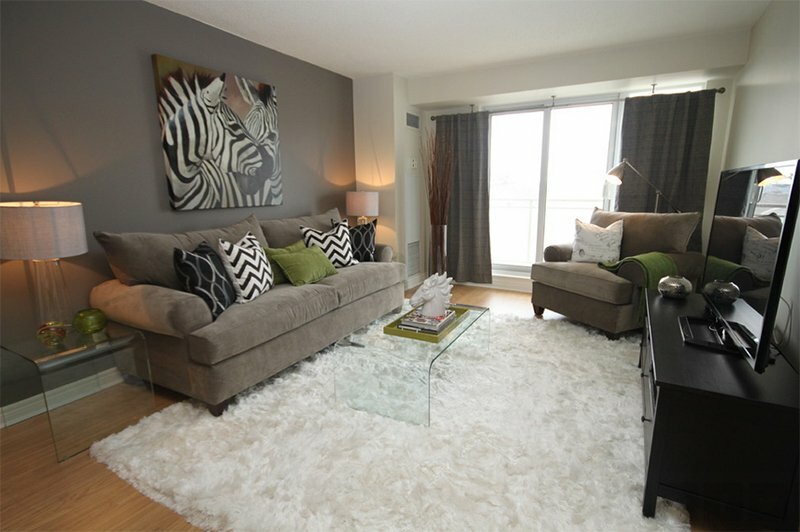 Here are a few inspiration for a sophisticated condo living room. In condominiums, spaces come in various sizes and shapes. But whether it is small or big, what matters is that the area is functional and beautiful. But of course, function comes first. Yet, it won’t harm to add some decors and accessories to a space to give it more life. 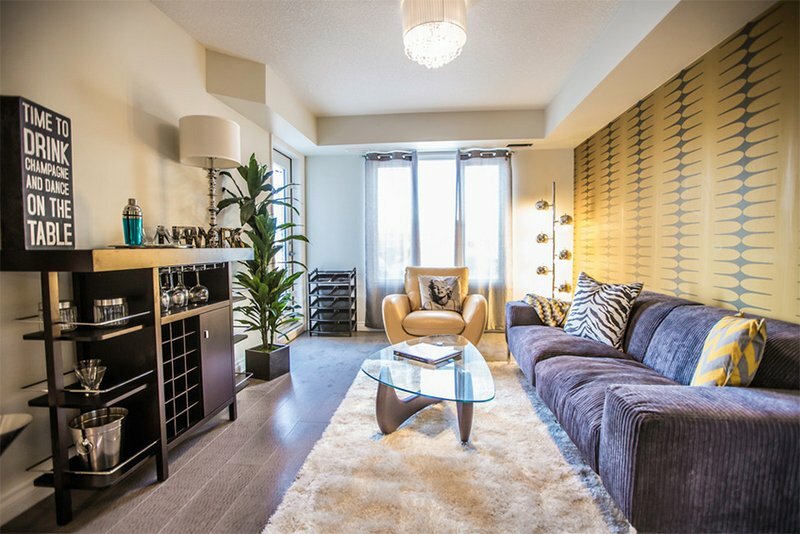 We have showcased some condominium spaces before but we actually still have some more. 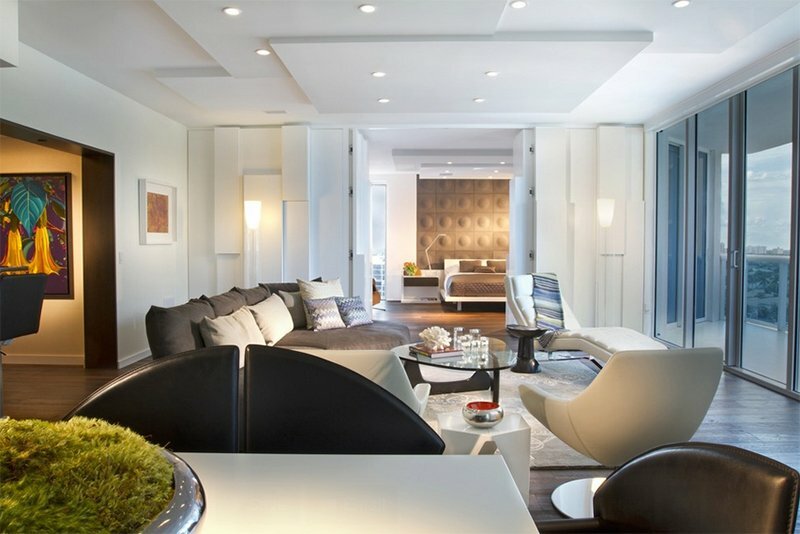 Today, we are going to show you condo living rooms once again to fuel your ideas on what to do with your own condo space. When we say condominiums, we usually think of a luxurious neat looking home in the city. Yes, most of the condos may have modern designs but there are some with some touch of traditional or vintage styles too. But whatever is the theme of the space, it is easy to pull off a luxurious appeal through the furniture and decorations. 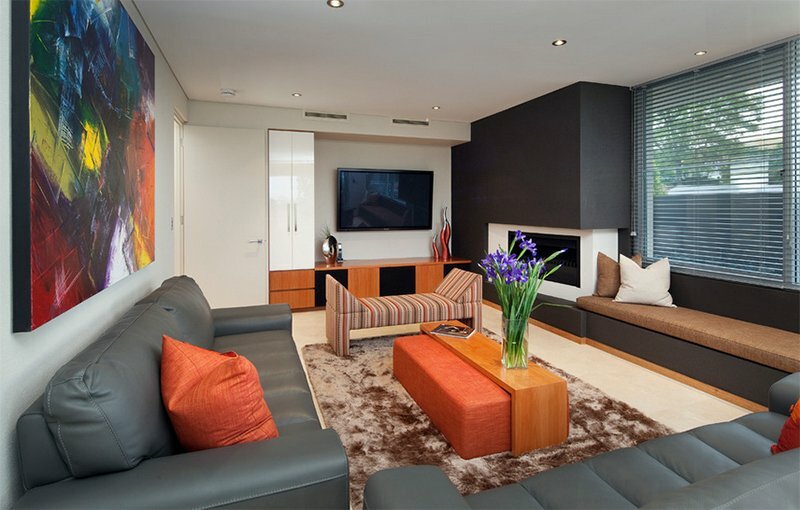 We have collated some condo living rooms with luxurious designs. They have different color schemes and layouts. Some are spacious while others are small. But what is common on all of them is their sophisticated and luxurious appeal! Come take a look. A living room with gorgeous details and some lovely mix of colors and patterns. Glass pocket doors replaced the heavy wooden doors that lead to the dining room of this space. Decorating both sides of the archway are black and white artworks. Aside from the design of the furniture, what I love here is the area rug carpeting which brings some life to the living room. This is such a spacious condominium. This condo living room has a flooring tile that looks like wood and it sure is gorgeous. The ceiling design is pretty stunning too. Everything just looked luxurious because of the Italian furniture used in it just like that tufted bench. 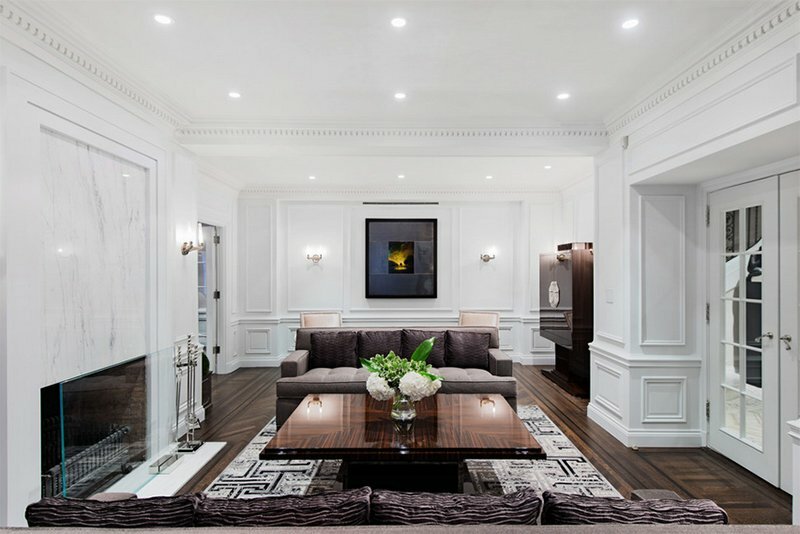 The awesome floor to ceiling wainscoting is the highlight of this living room which added more texture to it. And yes, the furniture used in here are pretty stunning too. Notice the glass screen near the fireplace, looking modern indeed! On the walls of this living room is the Andrew Martin Library wallpaper that gave it some vintage touch. The white shaggy area rug bring some softness into the living area. 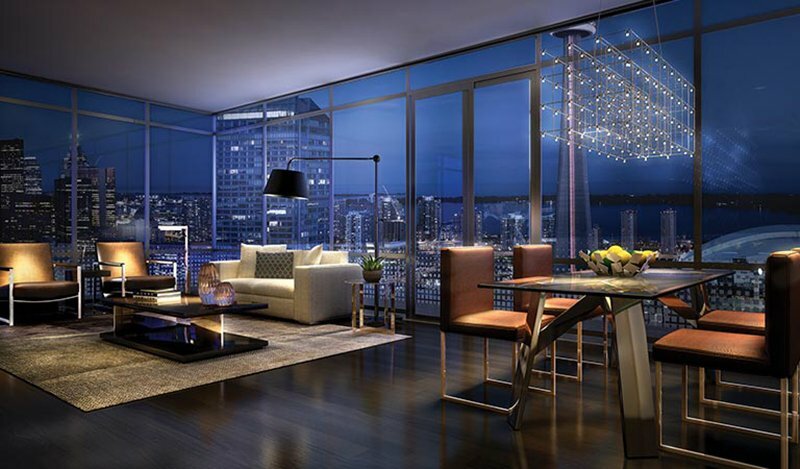 This living room is part of a Hollywood high-rise condominium. It isn’t very spacious but it does look very luxurious and you could get that “Hollywood” feel from its design. Look at the ceiling and that headboard in the bedroom! A beach style condominium with white and blue colors. 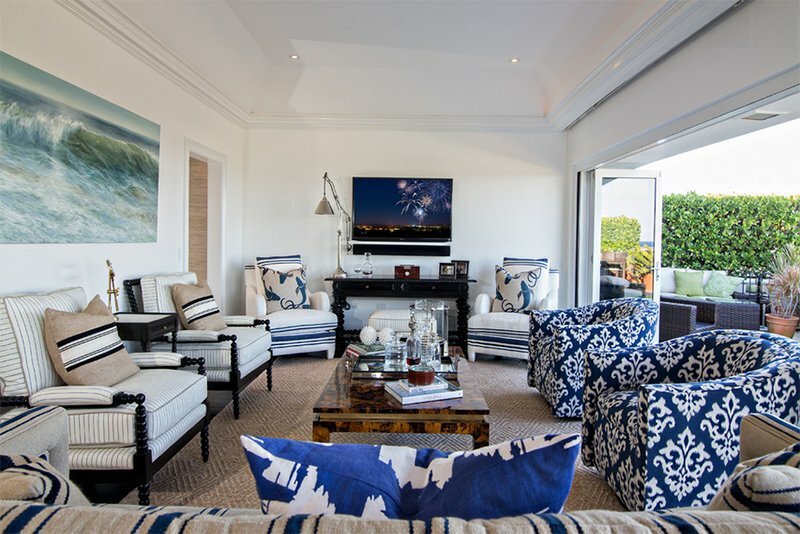 This is a spacious living room that reflects the beauty of the ocean featuring a photo of the waves on the wall while it opens to a garden on the other side. Love the colors of this contemporary space. Pops of yellow and green add more life to the white and gray combination in this living room. The kitchen is right beside the living area for easier access. One notable feature of this living room is the wooden flooring. This contemporary living room has lovely colors and modern patterns on it as well as the interesting backdrop of brick walls. The decorative items on it may be simple but they add beauty to the entire space, even those simple floor lamps. The black and white throw pillows matches well with the zebra work of art on the wall. It has some pops of green too that looked lovely all together with the white area rug and other white details. All the colors here look good with the gray wall as a backdrop. What brought this living room together is the black and white L-shaped sofa. 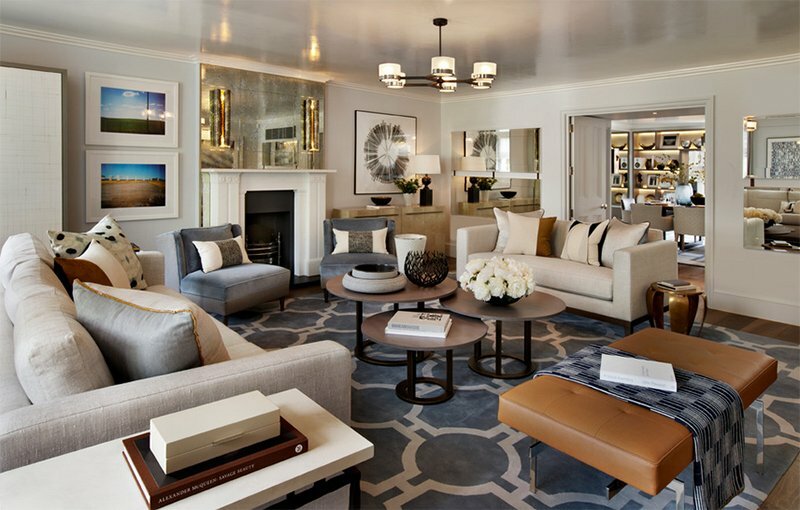 Adding a beautiful coffee table with a modern design brings more glamour to this living room. The glossy ceramic flooring area also perfect for the space making it look even more luxurious. 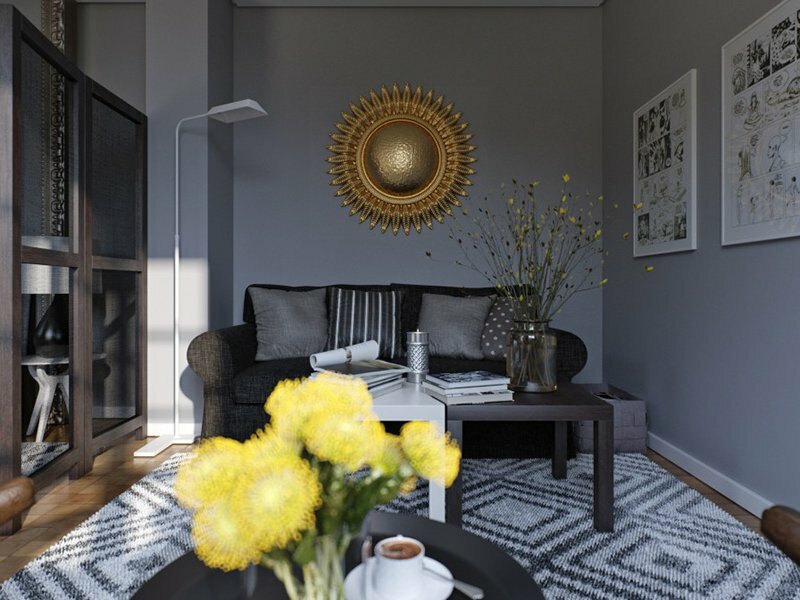 A living area for a condominium project which is designed to showcase the Audrey Hepburn upgrade package. Don’t you just love the colors in here? Apart from the colors the furniture especially that glass table is such a stunning piece. A series of mirrors were added to the walls in order to brighten the space up. 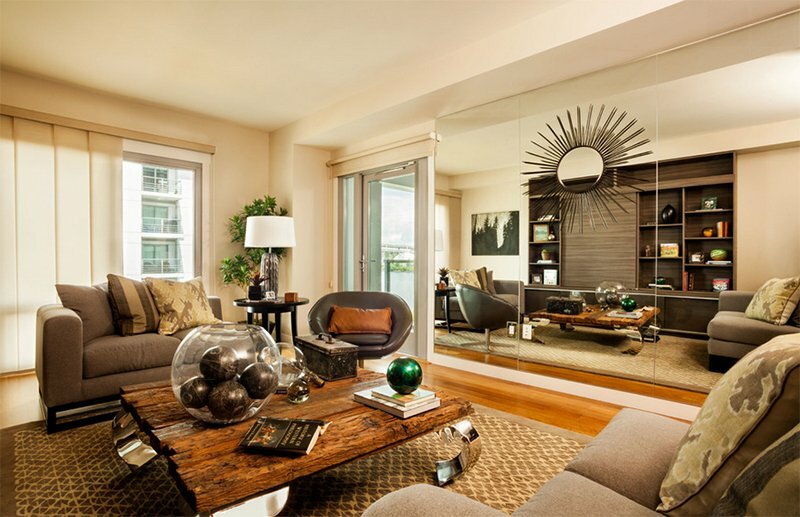 Love that sunburst mirror on the mirrored wall and yes, all the furniture used in here are very lovely too just like the wooden center table with all the lovely pieces on top of it. 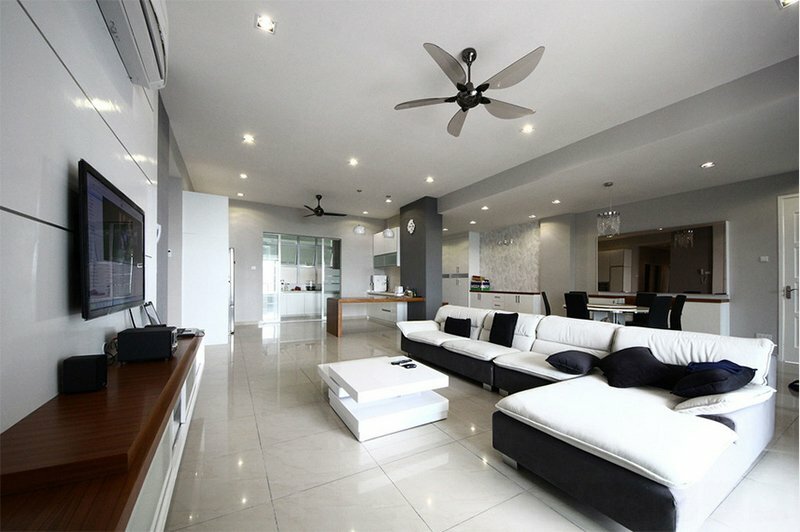 Black is timeless and beautiful just like what you can see in this living room. The display on the tables as well as other stuff in the living area are lovely are good contrast to the dark furniture. 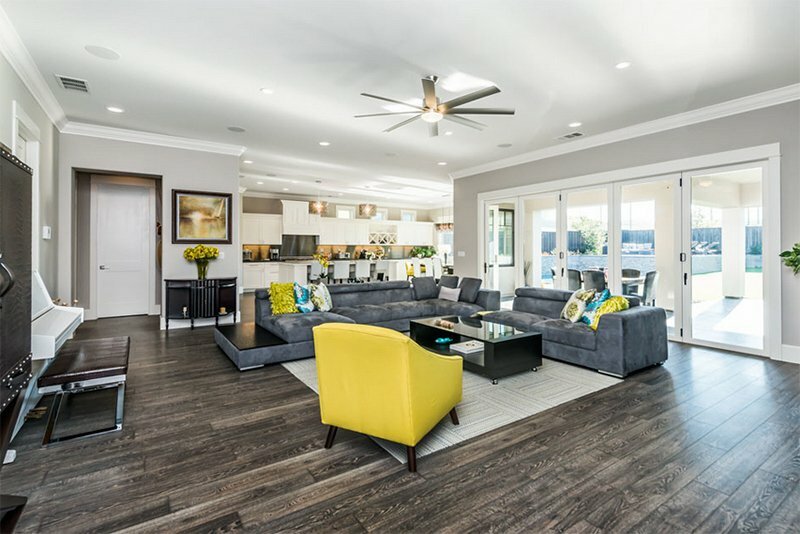 Lovely yellow colors are used for this living area which showcased the Marilyn Monroe upgrade package. I like the details of the space from the area rug to the lights as well as the triangular coffee table. Look at that view! It is so beautiful isn’t it? When you are living in a condo and you are surrounded by a scene like this, having a picture window would be the best idea. And of course, use beautiful furniture designs in it too! Notice that this living room is just beside the dining area since the space has an open layout. Isn’t this a cute living area? From the sunburst wall decor to the comic framed wall art and even the throw pillows, everything just look so adorable and lovely and gorgeous! 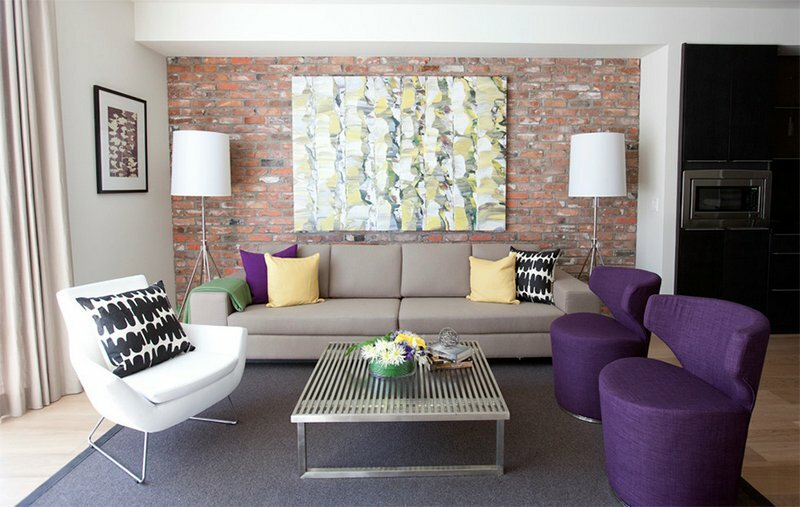 This living area has dynamic colors in it with yellow, purple and blue that stands out. One of the most attractive parts of this area is the carpet which defines the space. I also like how accent furniture were added into it. A transitional living area with Earth colors in it. Those landscape photos on the wall bring in some fresh touch to the space as well as the flowers on the center table. Love the gold and silver accents in this space too! Built in window seat and combo coffee table ottoman are some lovely features of this living area with a combination of orange and brown. Stunning, right? And there are lots of sleek lines too for a simpler and neater look. What can you say about the condo living rooms above? They are indeed lovely, aren’t they? 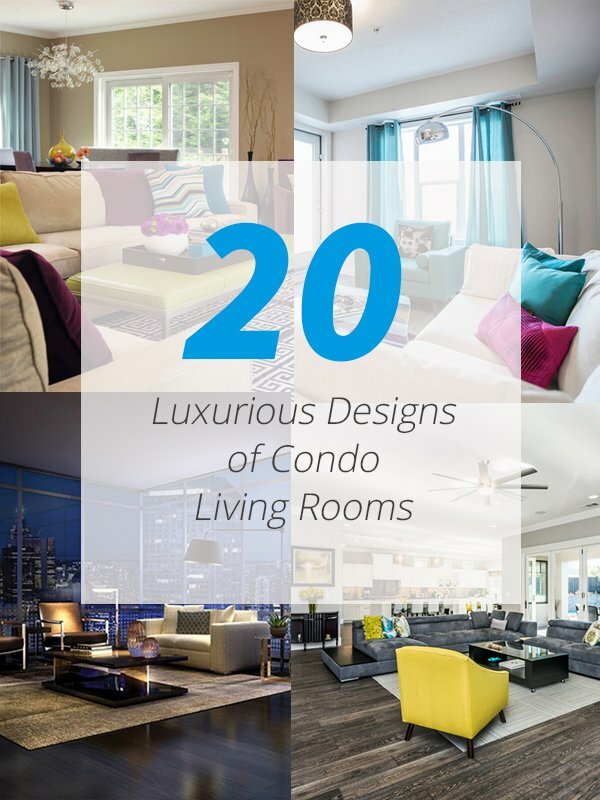 And you will surely get ideas on how to give your own condo a luxurious appeal. If you don’t have some furniture yet, you might need to invest on some comfy ones. Just make sure that you pick those with good quality and those that are not so expensive. Your furniture will bring your room together plus the decors you will add. All of that will make your living room look luxurious. And yes, don’t forget the dramatic lightings too. Love this list? Go ahead and share it!